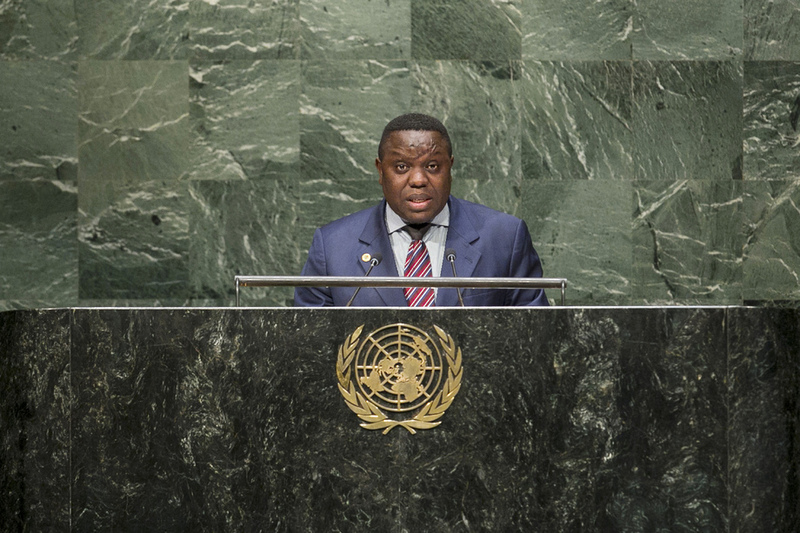 HARRY KALABA, Minister for Foreign Affairs of Zambia, expressed deep concern about the Ebola outbreak, which he described as a "common challenge to humanity". Zambia was ready to support efforts in defeating the virus and bringing back normalcy to the affected African States. That global health emergency, along with other public health challenges, such as malaria, tuberculosis, and AIDS, required a concerted, unified approach. He said his country supported ongoing discussions related to the post-2015 development agenda, notably those relating to population and development, labour, and climate change. Zambia was also focused on the growing problem of early and forced marriages, which was rooted in poverty and exploitation. As such, it had hosted a national symposium on the issue and taken several other initiatives to reduce the gender divide. It looked forward to working with other nations to curb incidences of child marriage and promote the advancement of women worldwide. His country's commitment to women’s empowerment was in line with the Beijing Declaration and Platform of Action. The question of Security Council reform remained an important priority for Zambia, which was concerned at the minimal progress made towards its expansion, he said. As a member of the African Union Committee of Ten on Security Council reform, Zambia urged the body to make long-overdue reforms and reiterated the importance of the issue to other African States. To that end, the continent was committed to all five clusters of the intergovernmental negotiation process outlined in General Assembly Decision 62/557 (2008), he added.